Students learn the life story of Buddha and how he came upon the Four Noble Truths concerning the universality of suffering and the Middle Way. Then they follow the spread of Buddhism in India through the conversion of Emperor Ashoka and his campaign of sending missionaries through the land. Next, they explain the cultural influence of Buddhism in India. 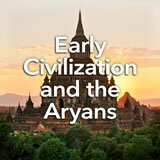 Finally, they elaborate upon its expansion through Asia and the West. In this experience, students learn the life story of Buddha and how he came upon the Four Noble Truths concerning the universality of suffering and the Middle Way. Then they follow the spread of Buddhism in India through the conversion of Emperor Ashoka and his campaign of sending missionaries through the land. Next, they explain the cultural influence of Buddhism in India. 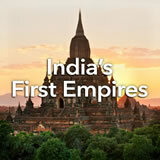 Finally, they elaborate upon its expansion through Asia and the West. Read Buddhism in the Teacher Pack for a thorough introduction to Buddhism’s history. 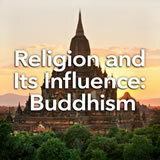 Describe the origins and beliefs of Buddhism. 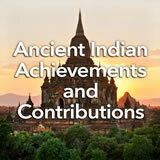 Analyze the influence of Buddhism on ancient India. 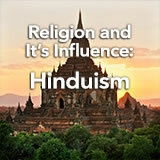 In this experience, you’ll learn about a religion that arose in India as a response to Hinduism and then spread throughout Asia and beyond. What is in the image? Use words or short phrases to describe it. To list more than one, separate your ideas with a comma, like this: people, places. The photo shows a brass statue of Buddha, the founder of Buddhism. Read the Buddhist proverb below. by love alone they cease. Which is the most accurate way of restating the proverb? A) Do good to those that hurt you. B) It doesn’t matter what people do. C) Wait until you’re calm before you act. D) Put yourself in the other person’s shoes. Discuss the proverb together as a class. Ask students to provide examples of how this might be true. Consider what you know and don’t know about Buddha and Buddhism. Answer the questions below.